Life can be extremely difficult. Life can also be magical and wondrous. When your eyes are opened to the deeper meaning of events unfolding around you in this physical world you begin to experience more of the latter. This great Universe is an interactive web of energy that has a way of giving you exactly what you need at the precise moment you need it. 2. We are awesomely powerful beings and the quality of our thoughts dictate the quality of our life experience. Our thoughts, consciously or subconsciously, draw to us certain events and circumstances. The great problem is most people (myself included) don’t always remember they have the power to change their lives through something as simple as changing their mindset. This is so simple that, at first, seems like nonsense. Most times our lives have been like a rudderless ship drifting aimlessly in the current for so long that we’re used to not being able to steer. We’ve become accustomed to reacting to life events instead of being proactive and taking control of them. Even after opening yourself up to the idea that this could be possible and then seeing it work first-hand it’s still so easy to forget that we can do it. Luckily, we have many tools to help us in our journey to begin to actively steer our lives towards our destinies. One awesomely powerful tool is the gift of affirmation. I was recently reminded of this from a massage therapist that my wife and I met. She explained that an affirmation is so much more powerful if it’s framed into the form of a question. Questions have a way of focusing the energy of our minds like a laser beam and gets much better results than mere statements. These are just general examples but the beauty of these affirmations are their simplicity and flexibility. You can adapt this tool to pretty much any situation. Go ahead, give it a try! Really, what do you have to lose? I don’t know about you but I could use a little more “easy” in my life. 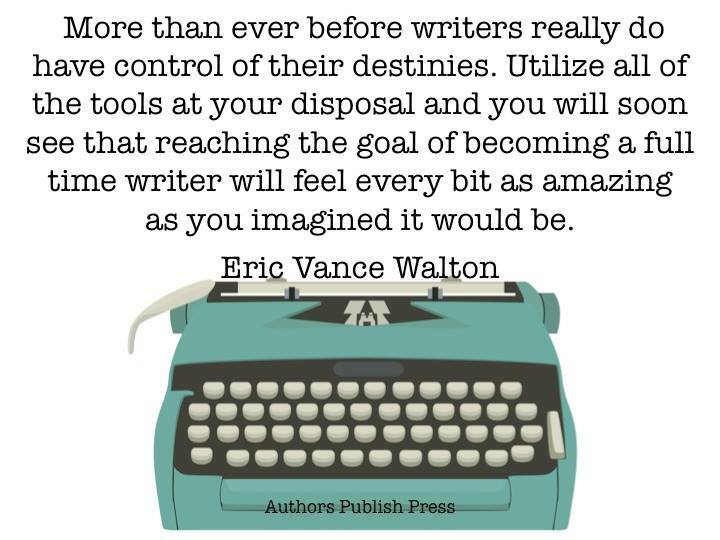 Eric Vance Walton invites you to follow his unfolding story by “liking” his Facebook author page at https://www.facebook.com/EricVanceWaltonAuthor for updates and promotions on his current and upcoming projects. There’s no denying that the combination of social media and mobile devices are transforming us. The next time you’re in a public place, take notice of how many people are staring zombie-like at their mobile devices, totally oblivious to the world that is unfolding around them. Technology is advancing at such a fast pace that we haven’t had the time necessary to adapt to it from an evolutionary perspective. Science is showing that our brains are being rewired by this technology. We’re becoming less able to focus, self-absorbed, and more @ssholish than ever before. It seems like there’s a massive emptiness in people’s hearts and they try to fill this void with material things. It seems we’re more connected to the world but less connected to those people in our lives who really matter. So many people are becoming more interested in recording our lives on social media than living it. in times of blessed vertigo. Two Poems Published in the Literary Journal Page and Spine! Two of my poems, “The Writer’s Life” and “Memories of the Sun” were just published in the literary journal Page and Spine.